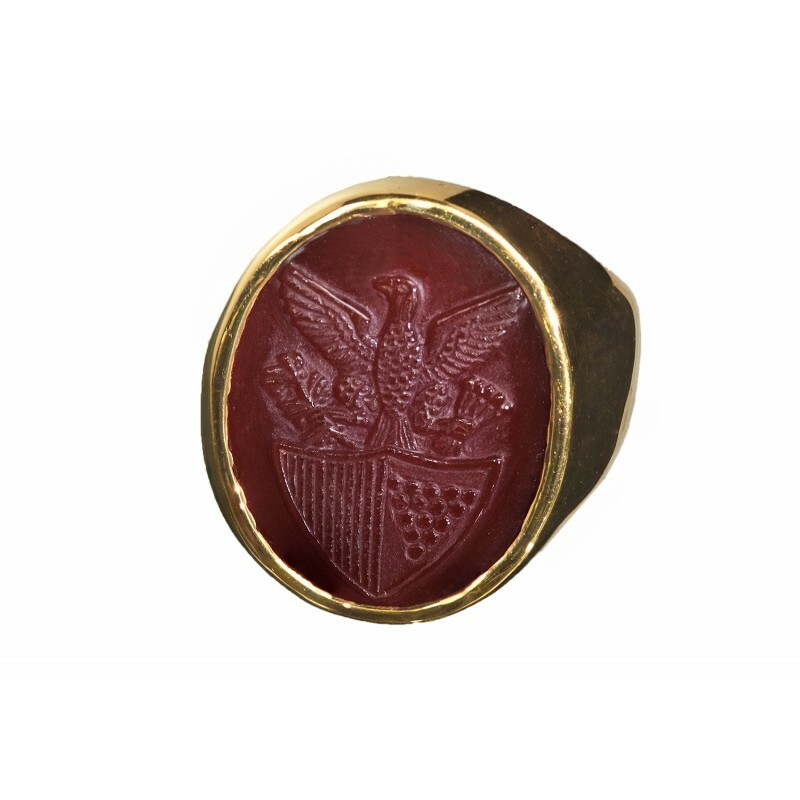 A beautiful American seal ring featuring a US Eagle shield engraved sculpted from fine Red Agate creating an elegant and detailed Regnas ring. 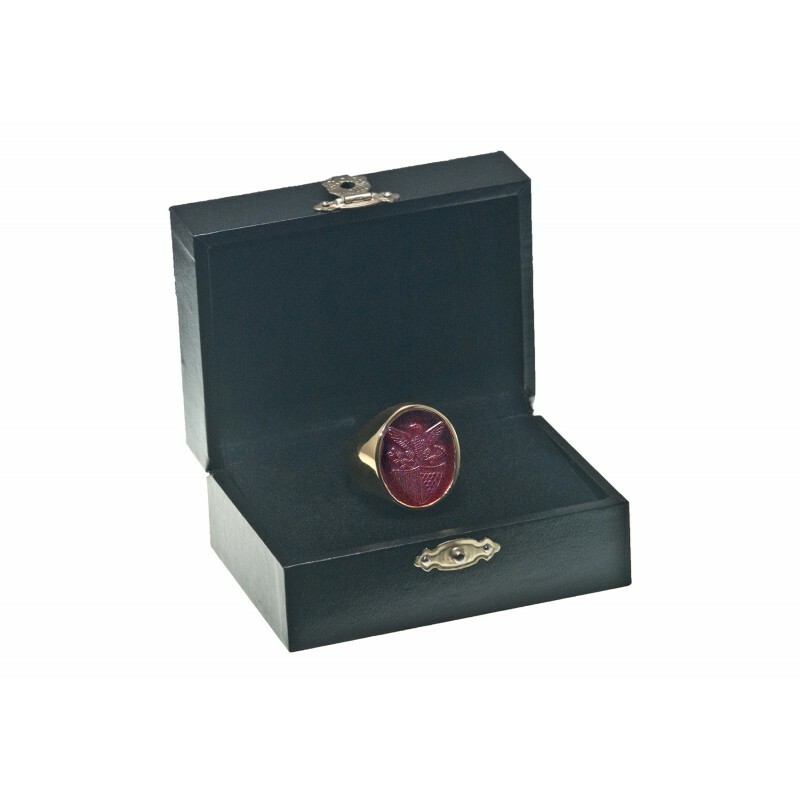 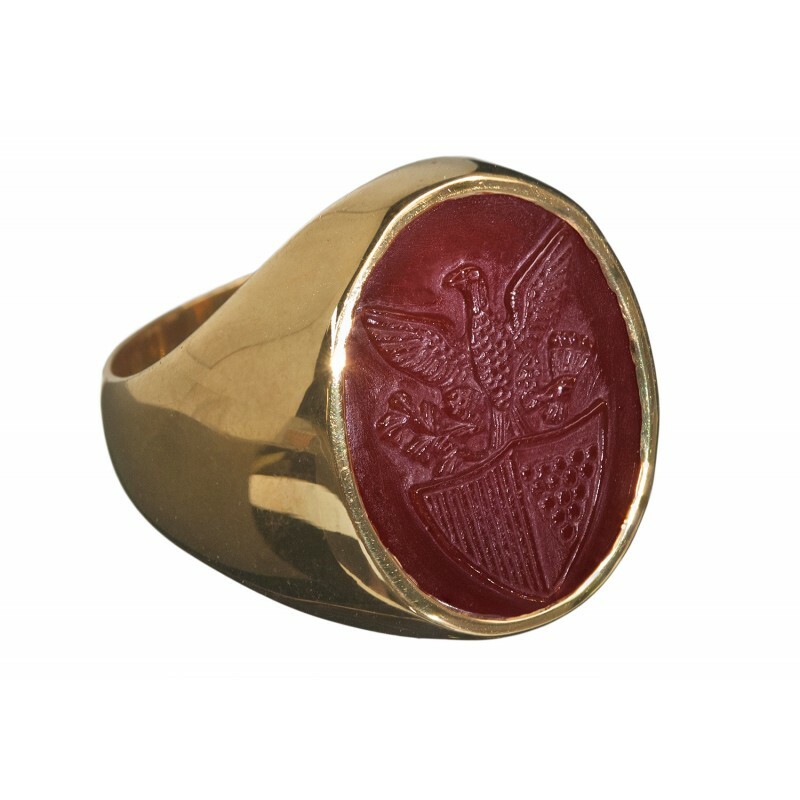 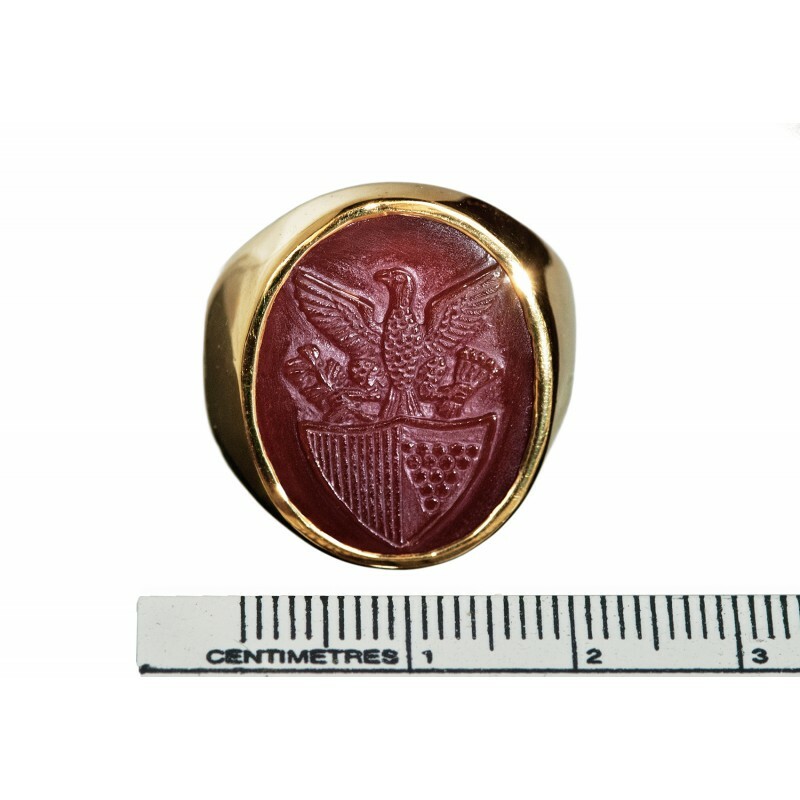 An American seal ring with an eagle shield which has been expertly engraved sculpted from a beautiful oval of genuine red agate. 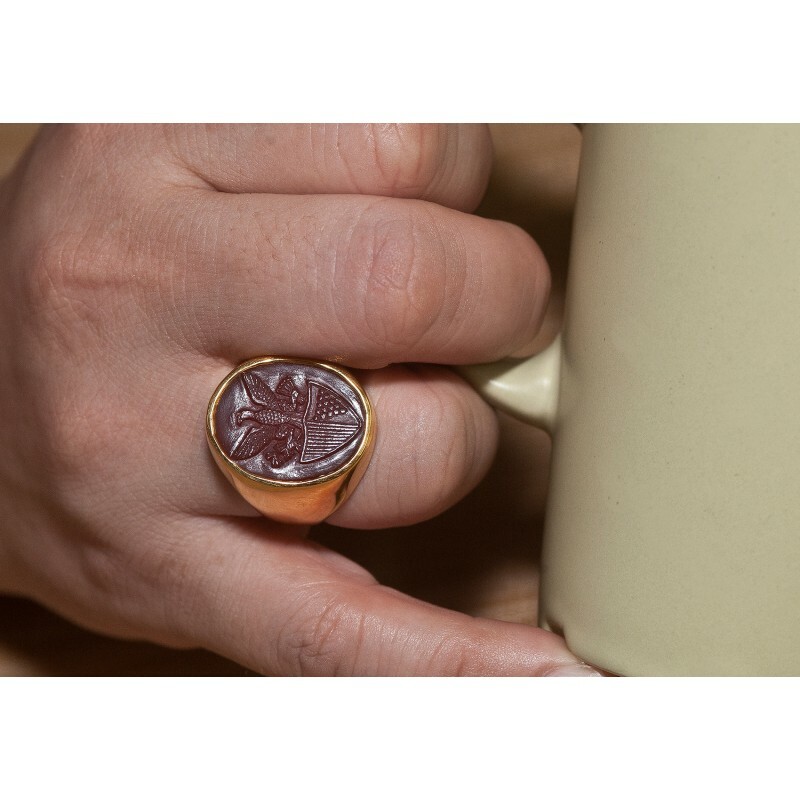 That's why this high quality, hand engraved American seal ring by Regnas is so affordable.